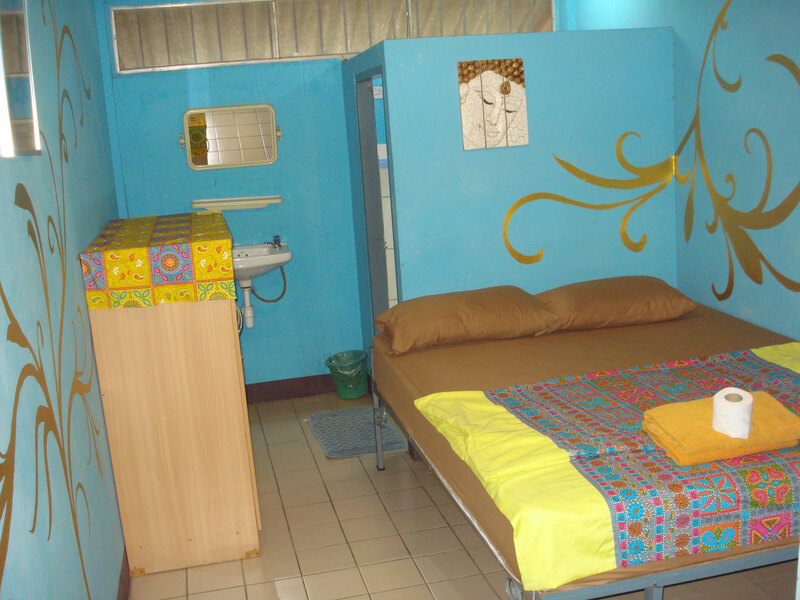 We offer 25 functional equipped fan-cooled rooms with private bathroom (no A/C). 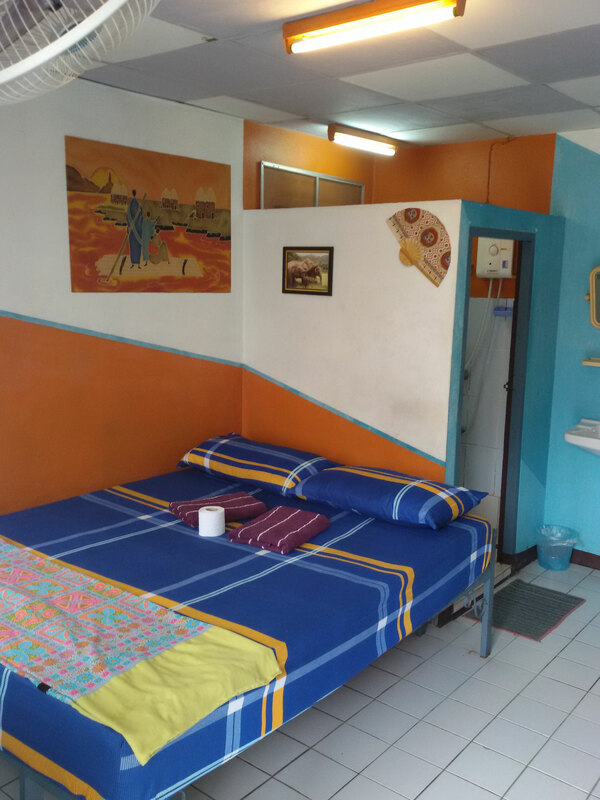 Standard Rooms in the backside building are bigger than the basic rooms, beds have spring mattresses and the bathrooms come with hot showers and western style flush toilets. 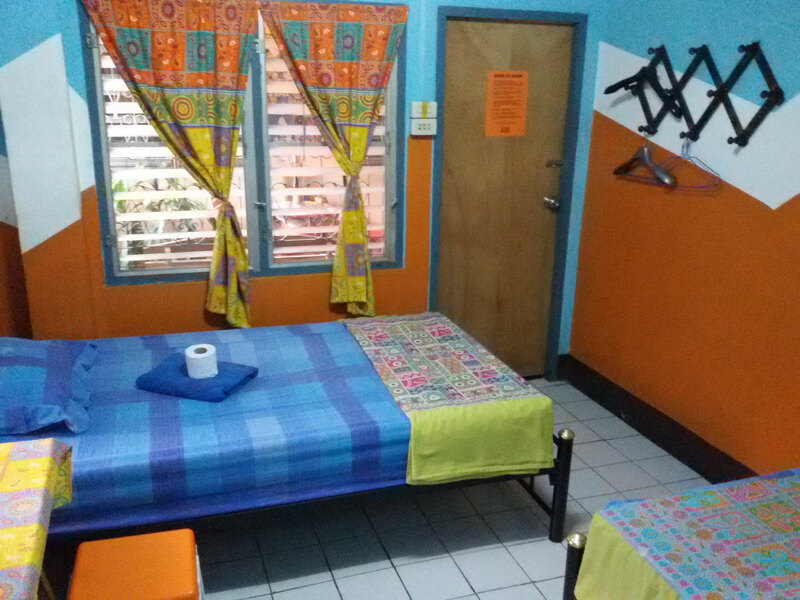 Basic Rooms in the front building come with cold showers and by-hand flushed toilets. 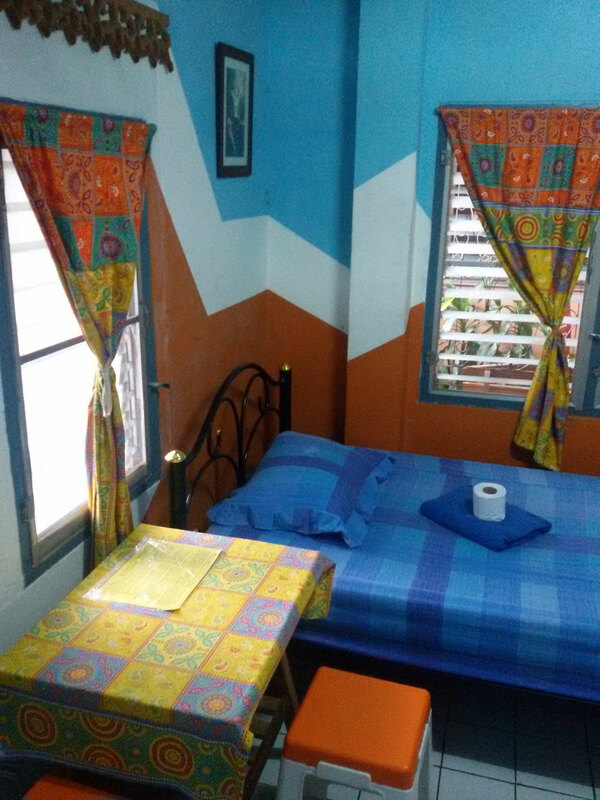 All our rooms are colourful painted and have at least one window. 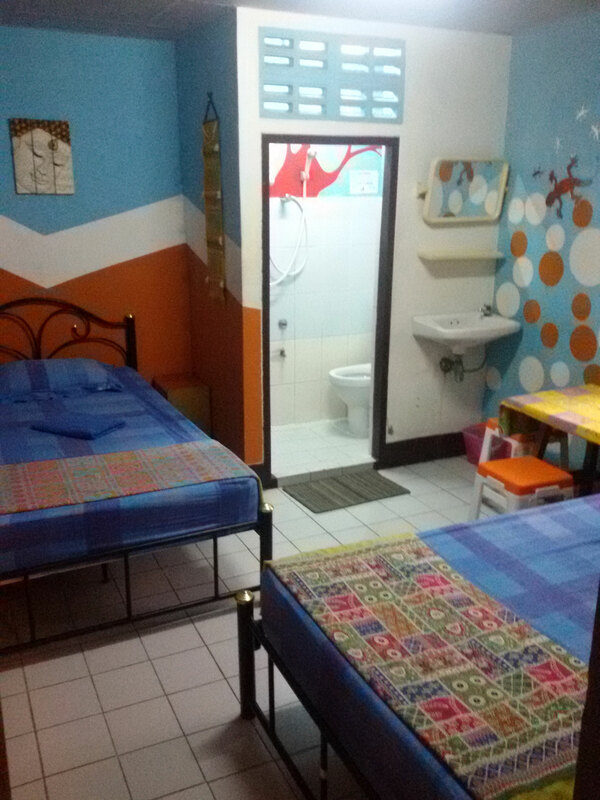 Blankets, towels and toilet paper are provided and a laundry service (wash & dry) is offered at 40 baht/kg. 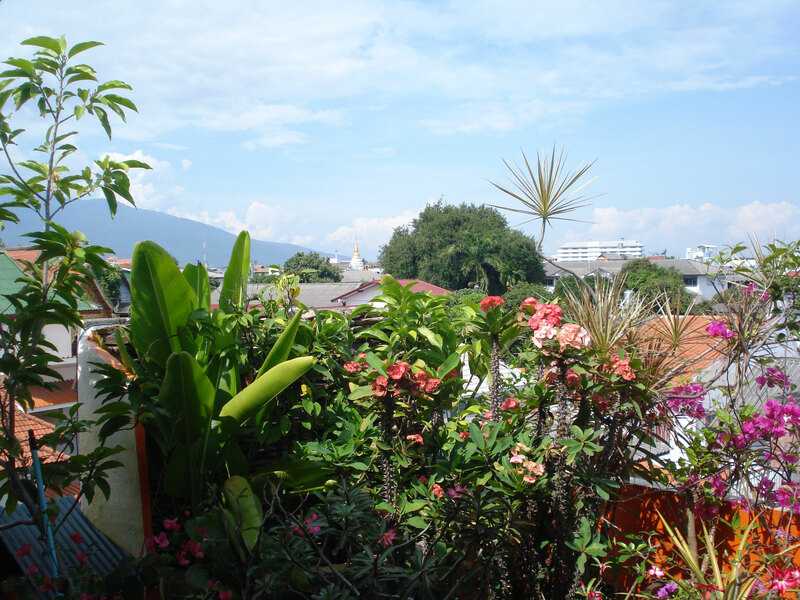 Drinks are cheap (water/softdrinks 10-20 baht, beers 45-75 baht, tea/coffee 20/35 baht). WiFi is available for free and safekeeping of valuables is possible at reception without charge. Backside building offers 15 rooms. 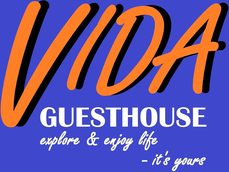 2 singles & 2 twins on groundfloor, 11 doubles on ground- /1st floor. 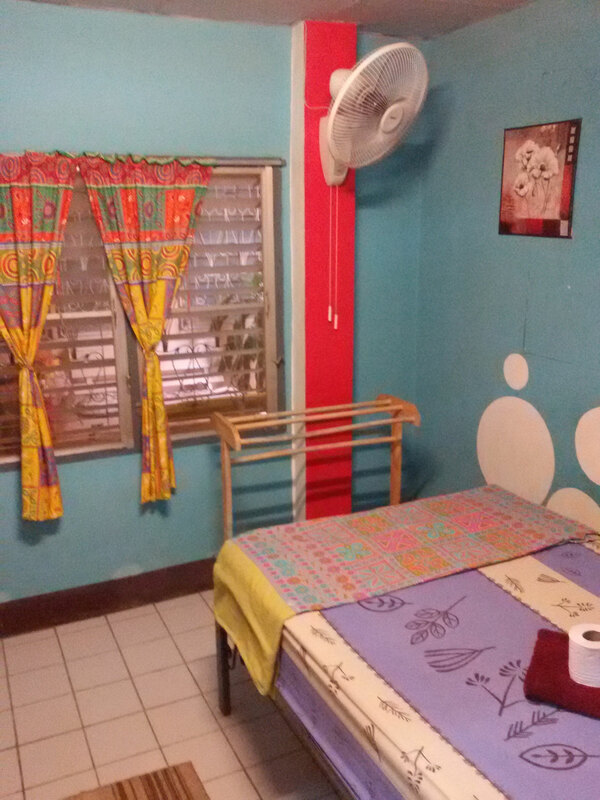 All rooms are fan-cooled by either wall- or standing fans. 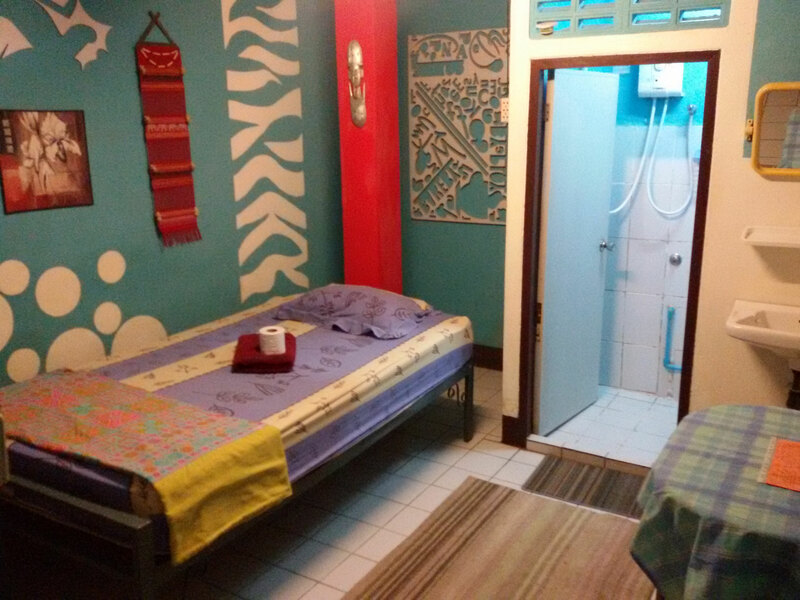 Bathrooms come with a warm shower and a western style flush toilet. 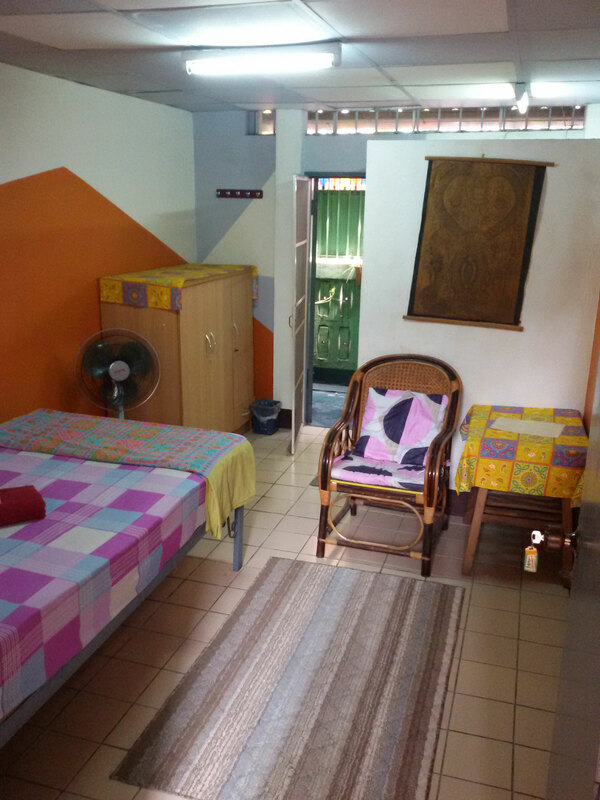 The front building offers 10 rooms upstairs on 1st and 2nd floor. 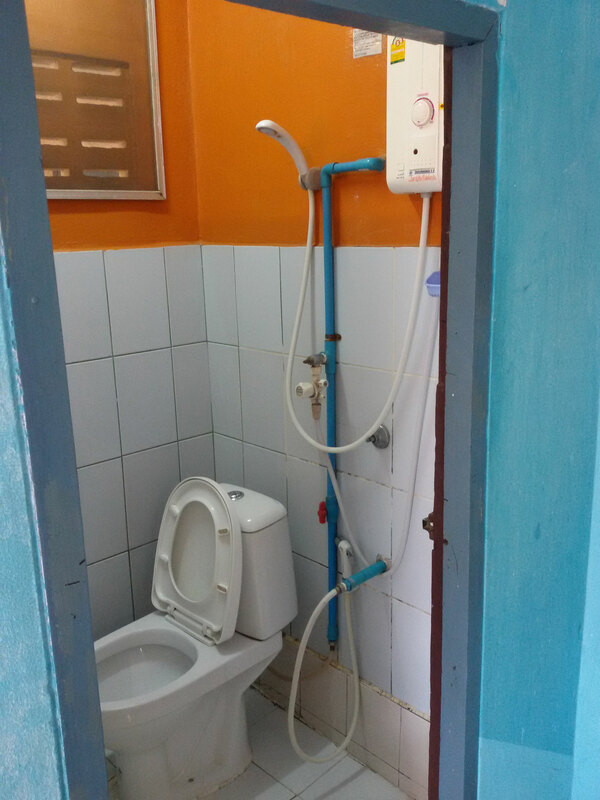 All are fan-cooled and come with a small bathroom, cold shower and a western, by-hand flushed toilet. 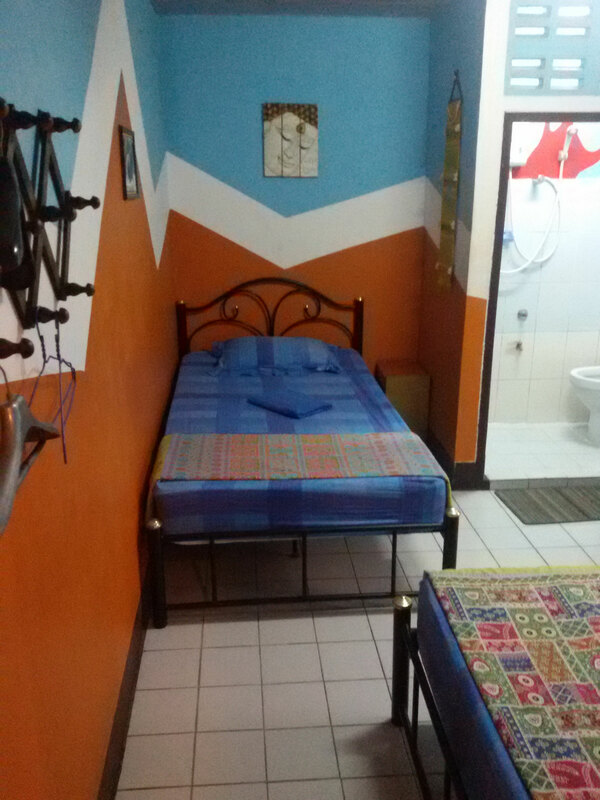 One shared bathroom with a warm shower is available on groundfloor. 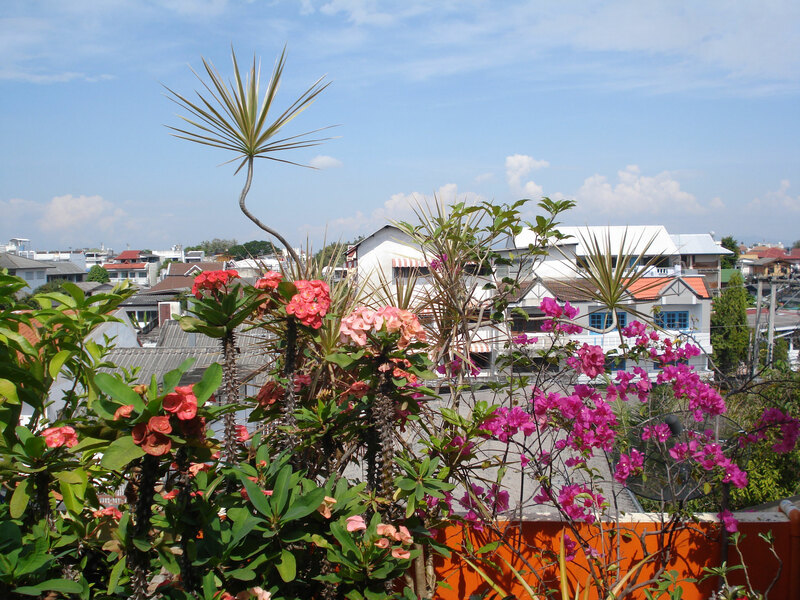 The 3rd floor of the frontbuilding offers a nice & breezy rooftop to relax and chill. 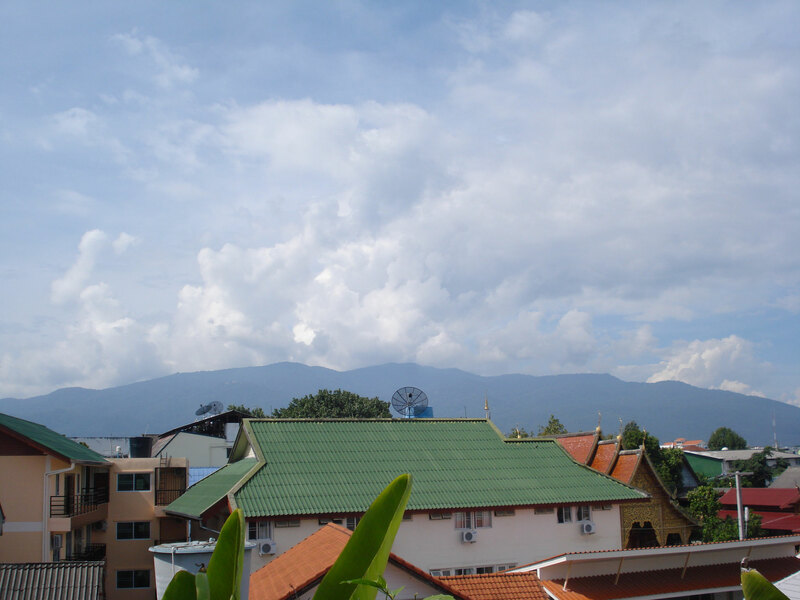 Enjoy the nice view towards Doi Pui and Doi Suthep. 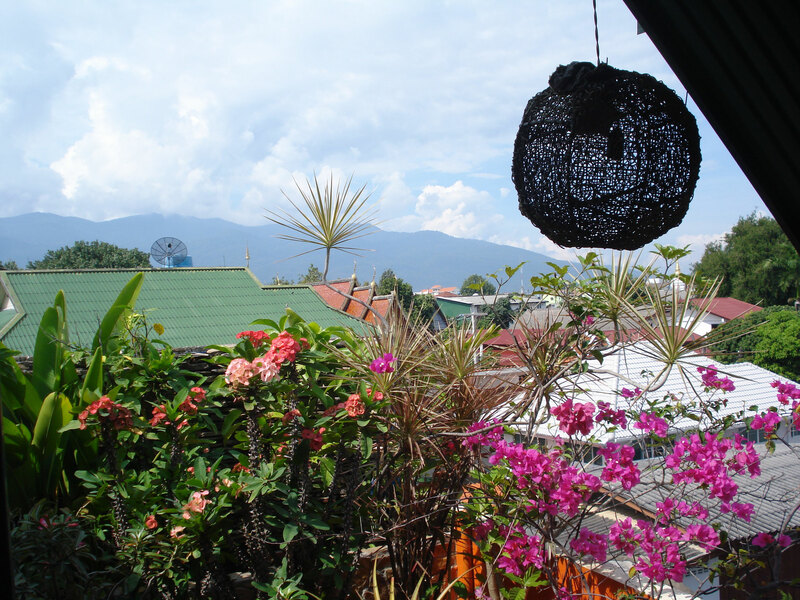 Meet new friends, read your book, play games or just hang out in the hammock with a cold drink.